TURNS OUT, JACK LOOKED BEST DRESSED IN BLACK. Just like the name ‘Old No. 7,’ the history of our label is a bit of a mystery. Some say we chose the color to mourn Mr. Jack’s death; others don't think we chose it for any reason at all. We may never know for sure, but we are certain this label was one of the very first times it was predominantly black. 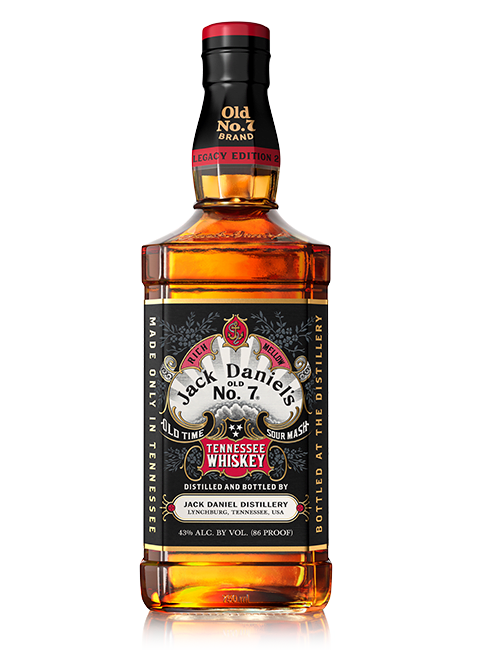 Our second bottling in the Jack Daniel's Legacy Edition Series is a return to one of the first instances of Jack's iconic black label. It's a symbol of our enduring spirit, an ode to Mr. Jack's color of choice and, well, just a good bottle of whiskey. So enjoy a sip or two of Jack Daniel's history.